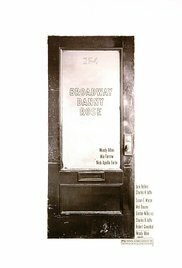 Broadway Danny Rose is a 1984 American black-and-white comedy film written, directed by and starring Woody Allen. It was screened out of competition at the 1984 Cannes Film Festival. A hapless talent manager named Danny Rose, by helping a client, gets dragged into a love triangle involving the mob. His story is told in flashback, an anecdote shared amongst a group of comedians over lunch at New York's Carnegie Deli. Rose's one-man talent agency represents countless incompetent entertainers, including a one-legged tap dancer, and one slightly talented one: washed-up lounge singer Lou Canova (Nick Apollo Forte), whose career is on the rebound.